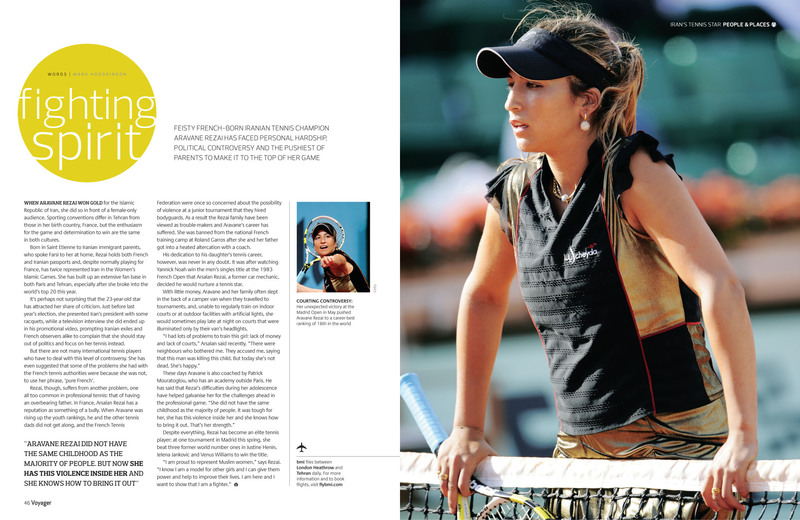 WHEN ARAVANE REZAI WON GOLD for the Islamic Republic of Iran, she did so in front of a female-only audience. Sporting conventions differ in Tehran from those in her birth country, France, but the enthusiasm for the game and determination to win are the same in both cultures. Born in Saint Etienne to Iranian immigrant parents, who spoke Farsi to her at home, Rezai holds both French and Iranian passports and, despite normally playing for France, has twice represented Iran in the Women’s Islamic Games. She has built up an extensive fan base in both Paris and Tehran, especially after she broke into the world’s top 20 this year.